This section of the Thru User Guide includes instructions on how to use Thru’s mobile apps for iOS and Android. These apps allow Thru account holders to access, send and manage their files stored in Thru from their iOS and Android smartphones and tablets. 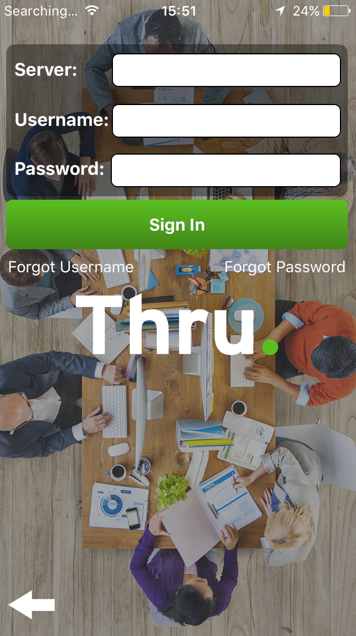 To use the Thru mobile application, the user must be a member of the MOBILE APP USERS group. To access Thru using a web browser on a mobile device, the user must be a member of the MOBILE WEB USERS group.